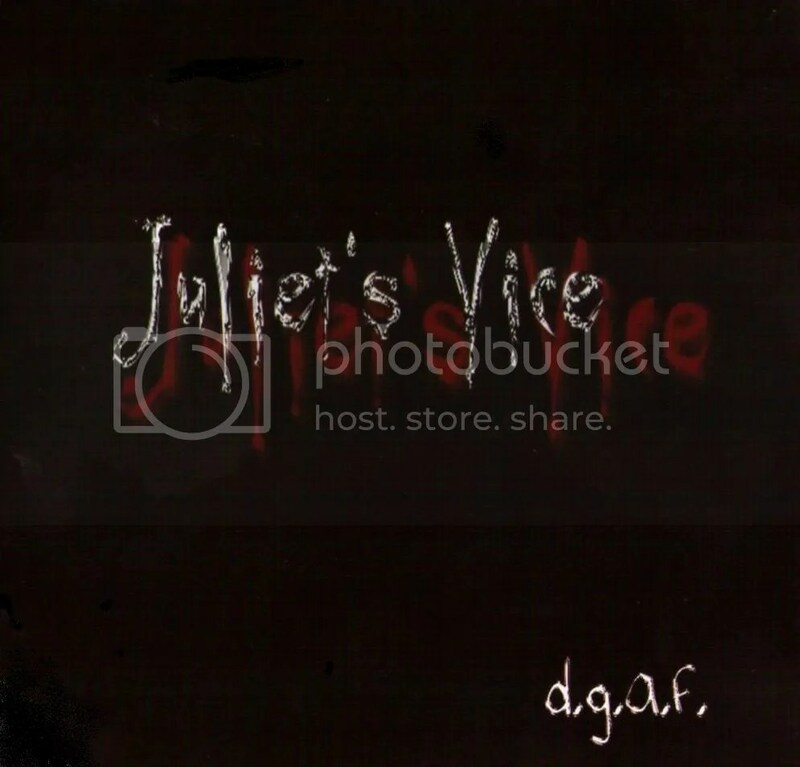 Formed in Philadelphia, Pennsylvania in 2008, Juliet’s Vice are a sleaze rock act that owes much to the likes of Guns N’ Roses, Ratt, L.A. Guns, early KISS and the New York Dolls. And when I say sleaze, I don’t mean sleaze like all of those modern European sleaze bands. Nothing wrong with those groups at all (I’m a big fan of quite a number of them) but Juliet’s Vice has a down-to-Earth, “see ya at the bar” American street-smart vibe that doesn’t go in for all that hairspray, spandex and make-up. Certainly the production isn’t glossy and smoothed over like how so many of the European glam/sleaze albums. It’s refreshing to hear the guitars buzzing and drums crashing all about and this adds to the band’s down ‘n’ dirty style. Speaking of down ‘n’ dirty, listening to “Concrete Jungle”, the Guns N’ Roses influence is readily apparent. Intentional or not, it reminds me of “Think About You”. The rest of the album is trashy and sleazy with a bit of punk flair. d.g.a.f. is an enjoyable, raw and tough rock ‘n’ roll ride and the title track ( (if you’re not sure what d.g.a.f. stands for, the band will clear things up for you in that song) perfectly sums up the attitude of the band. Not sure how this compares to 2008’s Decadence and Romance (because I haven’t heard it! ), but d.g.a.f. is a good sleazy listen and I’m sure the band continue to grow and get even better.